I am a marketing professional with a need to channel creative energy, so among many things I have started my own blog. For more information about my professional experience, please visit www.allisoncreative.net. Or click here to view and/or share my resume. I recently married the love of my life, Stephen. We live in beautiful California. As a Montana native, I truly have a deep appreciation for natural beauty and I can honestly say that the California coast is one of the most beautiful places on earth, but it also makes it challenging to stay inside and work on a computer! My Big Sky roots have had a large influence on my life and you will notice references and even images from Montana throughout my site. Growing up in rural MT among the wildflowers, bald eagles and roaring rivers has given me an appreciation for nature and enthusiasm for living green, so I’ll talk about that here too! And of course anyone who knows me will tell you that I am a huge animal lover, and currently that piece of my heart belongs to an adorable little mutt named Hayley. Hayley is helping me type as we speak and she too can’t wait to share her thoughts with our readers. Really enjoy your blog Allison. Happy you call La Jolla Home. Hi there, I just found your blog and I wanted to say hello. I love San Diego too, I went to college at SDSU and lived there until a few years ago. I’m now in Orange County. Great pictures and I enjoyed reading about your experiences! My family last name is Allison so Allison Cafe caught my eye! (I also gave my youngest daughter that name!) My parents were teachers and we took two 8 week camping trips in back to back summers 1970 and 1971 across the US and into Canada. 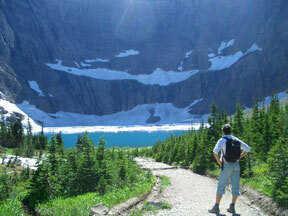 I love Jackson Hole, Glacier National Park, Crater Lake, nearly anything! We even named our white cat Teton and two of her kittens, Baniff and Aspen! Glad you found the love of your life and are enjoying the beauty of God’s wonderful creation in your own back yard and when you have the opportunity to travel. I also love Carmel and the CA cost! I’m a native southeastern PA’er recently moved to Clearwater, FL 3 yrs ago.